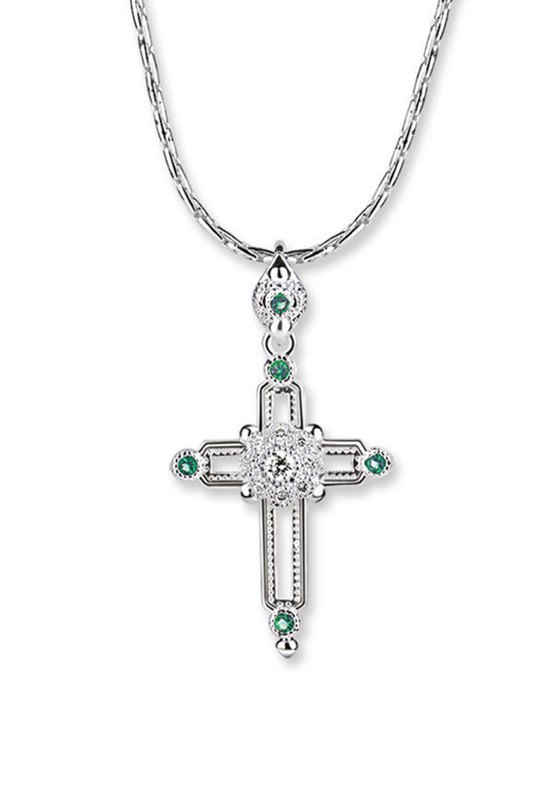 This gorgeous silver plated cross from the Maureen O Hara collection from Newbridge is a truly iconic piece much like the screen legend herself. This gorgeous silver plated cross from the Maureen O Hara collection from Newbridge is a truly iconic piece much like the screen legend herself. 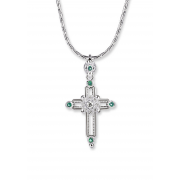 This stunning silver plated cross pendant with a protective anti tarnish layer, comes complete with 9 clear plus 5 green stone settings, presented in a Newbridge Silverware Maureen O'Hara gift box. Chain measures 400mm plus a 50mm extension chain lobster claw style closing.